Every working model includes bearings, often a large number of them. 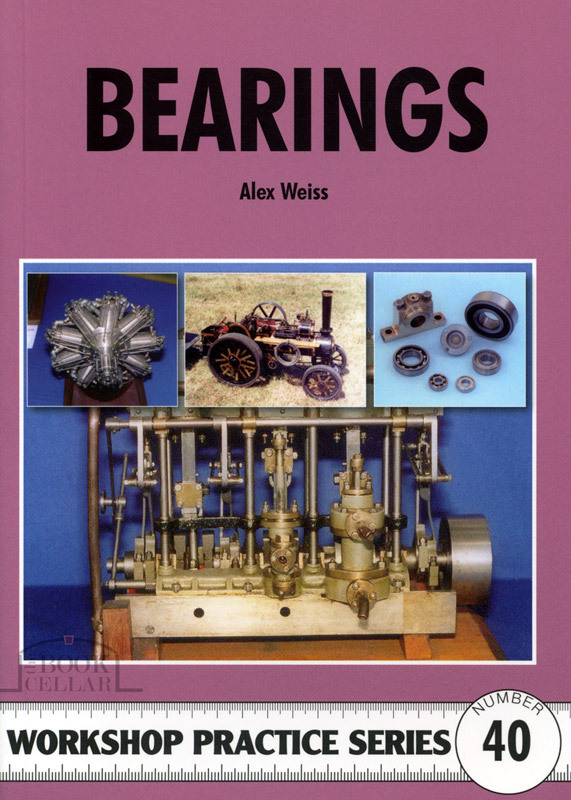 This practical book describes the variety of bearings found in the different types of models built in home workshops. It reviews the choice of bearing materials, the type of bearing to use for each particular application and highlights the differences between home-made and off-the-shelf bearings. It also considers the installation and care of bearings. Furthermore, it also covers several full-size applications undertaken by model engineers, such as clock making and machine tool maintenance, which also calls for some knowledge of bearings. Softcover published by Nexus Special Interests, England, 2008, 117-pages, indexed, 15cm wide x 21cm high, new.